Intentional musings of a unique Shelby Township Michigan Chiropractic Physician dedicated to helping people find solutions to improving their health by rooting out causes to chronic conditions such as fibromyalgia, thyroid disorder symptoms, balance disorders, migraines, sciatica, ADD/ADHD/ASD, back pain, peripheral neuropathy, chronic knee pain, gluten sensitivity and autoimmune disorders so they can Reclaim Their Life! My inventive chronic knee pain program of care is dramatically improving the health and lives of patients. I found profound success with virtually eliminating knee pain if I applied a proprietary, multi-dimensional approach that goes beyond merely focusing on the knee. My protocol also addresses sources of inflammation, neurology of the joint and neurology of pain, as well as the “neurokinetic chain” from the brain to the spine, to the legs, knees and feet. As a result of this integrated, individualized and comprehensive approach, my chronic knee pain recovery program can deliver results in as little as two visits for some patients. My approach to addressing chronic knee pain gives individuals a viable option beyond the conventional methods of treatment. What I found was my knee pain protocol is ideal for individuals who do not want to have surgery—though they may have been told it is their only answer—and who have also tried traditional drugs and are looking for an effective alternative solution. Chronic knee problems are not only painful and annoying, but they can be debilitating, making normal activities such as getting out of bed, walking and exercising difficult to manage. 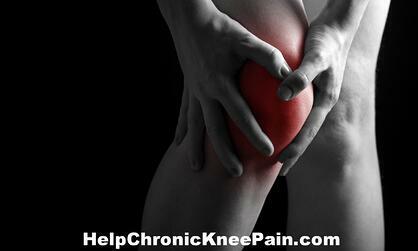 However, chronic knee pain is not natural, and it is not a normal part of aging. Moreover, knee surgery may not be the only option for even the most extreme situations involving bone-on-bone arthritis. Patients who have particitate in my chronic knee pain care program asked my how can it work so well at releiving pain and suffering. My response is that I have merged natural therapies and research-proven medical procedures to provide effective, long-lasting relief so that patients can regain functionality. When I examine a patient I diagram the neurology of how it works on a white board in the examination room, in a way that is understandable. What Type of Results Can You Receive? Captitalizing on the training I received at the American Functional Neurology Institute, this new chronic knee pain care program is such a blessing to many. I know what it feels like to be restricted from one of my favorite activities (cycling) due to knee pain. Having to miss a few rides over the last couple of years spurred me on to help my patients with my innovative approach. If you know of anyone with knee pain that is looking for a non-surgical, drug-free, shot-free approach, tell them about this blog post. If you found value in this article, please use the social sharing icons at the top of this post and please share with those you know who are still suffering with knee pain or other chronic health challenges, despite receiving medical managment. Help me reach more people so they may regain their zest for living! Thank you!